Answering questions helps customers who need to fix something or to make a decision when deciding to buy something – and if a company can’t answer these questions, the customer becomes frustrated with both the product and company. Customer relationship marketing success comes from being able to communicate effectively online via documents, emails, PDFs, and more. With technical support translation, a business will be able to answer questions quickly and effectively – increasing customer satisfaction. 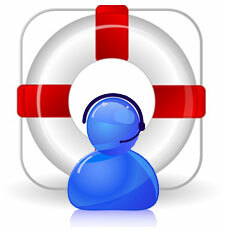 If a company is selling products and services in the global market, multilingual customer support is essential. Reaching a larger market can be beneficial however, hiring a number of translators can be costly. Support will also need to be available through email, online live support, product manuals, help materials and more. 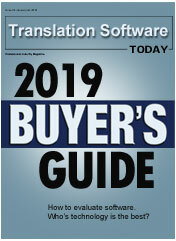 The volume of infornation that needs to be available in multiple languages can be overwhelming for human translators. Customers are more comfortable communicating in their native language. The way a company engages their customers can improve their reputation, their effectiveness, and their profits. In today's world, communicating in one languge is not an option for a growing company. The company who offers multilingual customer support also shows they are committed to all customers, not just the ones who provide questions in the native language. By providing technical support in multiple languages, companies can answer questions and ensure customers are satisfied as well as increase profits. Software can help you to reduce the traditional costs of translating your support material while giving your staff the ability to interact with customers in foreign languages. 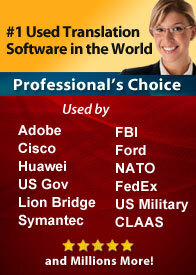 With the current technology you can use software as an essential part of the solution. Many large corporations such as Adobe, Symantec, Cisco and Ford are already using SYSTRAN to provide multilingual technical support. Utilizing SYSTRAN helps you to answer customer questions immediately helps to create a strong connection to customer service as a part of the company’s appeal. The wonderful part of investing in a translation solution means that over time you continually reduce costs as your software becomes higly customized to match your specific products. With the latest releases of SYSTRAN products you have a wide range of solutions that are designed for any size company and budget. Systran Enterprise - Complete deployment through out your company's intranet. New optional Training Sever adds additional customization and Statistical Translation technology for near human translation quality. Systran Links - Complete collaboration platform for your company website or company intranet. Expanded options allow you full integration with other machine translation engines. Systran API - Build your own application around the SYSTRAN translation engine or just automate the process. Systran Premium - Excellent for smaller companies that are just entering the global market and expanding into foreign languages. We specialize in helping companies set up translation for Customer Tech Support. Let us help you determine the best solution to create a stronger connection to your customers before and after their purchases.